Mezcal, or Mescal, is a distilled alcoholic beverage made from Agave americana native to Mexico. The word Mezcal comes from “Nahuatl mexcalli” and “ixcalli” which mean 'oven cooked agave'. The maguey grows in many parts of Mexico, though most mezcal is made in Oaxaca. This also applies to “Agave de Cortes” which produces El Jolgorio Joven, Agave Madrecuixe. There is a saying attributed to Oaxaca regarding the drink: "para todo mal, mezcal, y para todo bien también" (for everything bad, Mezcal, and for everything good, as well). It is unclear whether distilled drinks were produced in Mexico before the Spanish Conquest. The Spaniards were introduced to native fermented drinks such as pulque, also made from the agave plant. Soon the Europeans began experimenting with the pulque and the agave plant to find a way to make a distillable fermented beverage. This resulted in Mezcal and later Tequila. Mezcal is still made from the heart of the agave plant, called the "piña", often much in the same way it was 200 years ago. Mezcal is generally consumed straight and has a strong smoky flavor.It is not as popular as tequila, a Mezcal made specifically from the blue agave in select regions of the country. Mexico does export the product, mostly to Japan and the United States, and exports are growing. The Cortes family produces traditional Mezcal from the state of Oaxaca, “the World Capital of Mezcal” since 1887, 5 generations. The Mescals are made by experienced Zapotec Maestros Mezcalilleros from Oaxaca’s central valley. “AGAVE DE CORTES,” is a producer, packer and marketer located in Santiago Matatlán. The particular agave Madrecuixe, or Tobasiche in Zapotec, grows wild in Santa María Zoquitlán, Oaxaca and matures for 13 to 15 years. The production is extremely handcrafted in all aspects from harvest to bottle. The agave is cooked using underground pits with volcanic stones heated with mesquite wood and then pressed using a traditional tahona (a quarry wheel of stone) pulled by horses. The juice is then fermented in vats of pine wood and distilled twice in small copper pot stills. Mezcal el Jolgorio is only produced in extremely limitited batches. 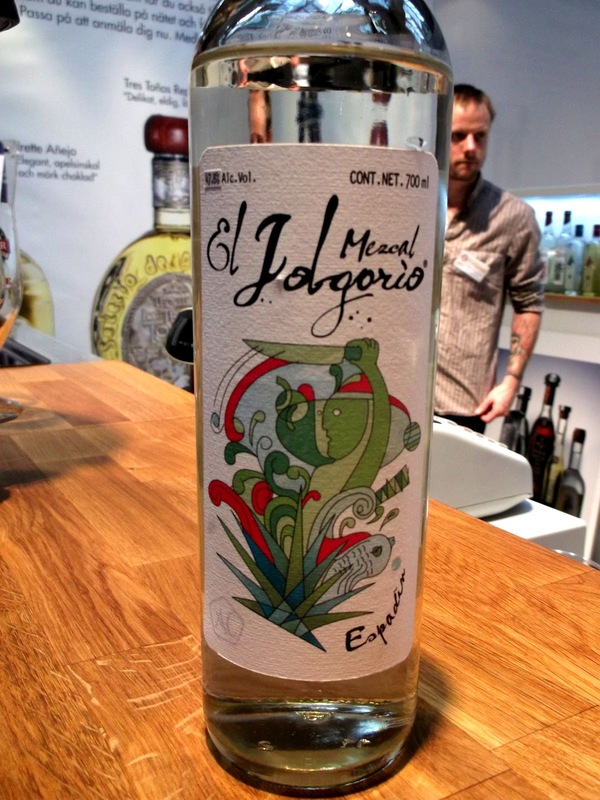 El Jolgorio Joven is an exclusive Mezcal made of the rear and wild Madrecuixe Agave. “Agave de Cortes” only produces a yearly production of 252 lt! Only a few bottles have made it to Sweden! 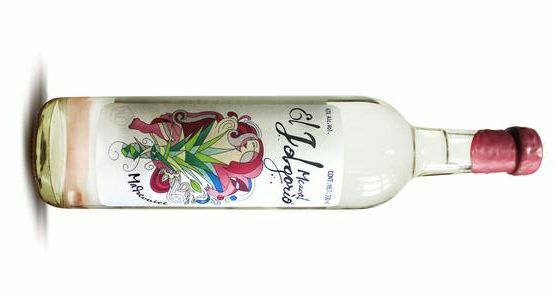 You will find El Jolgorio Joven in a beautiful clear bottle with Mexican artwork on the label, It is sealed with pink wax. Ideally you should serve this Mezcal slightly chilled as an aperitif or digestive in a dram or snifter. You could also use it as base for refreshing cocktails and drinks with citrus and agave. However I think this would be a waste since it is a heaven to drink straight up. It is a perfect companion for cold cuts and fish or seafood. This Mezcal has a crystal clear color with aromas of cooked agave, herbs, cedar and some tropical fruit. It has a taste of ripe fruit, aloe vera, pear, dark cherry with a very pleasant and light smokiness and intensity of raw agave. The aftertaste is very finicky and leaves you thirsty for more!